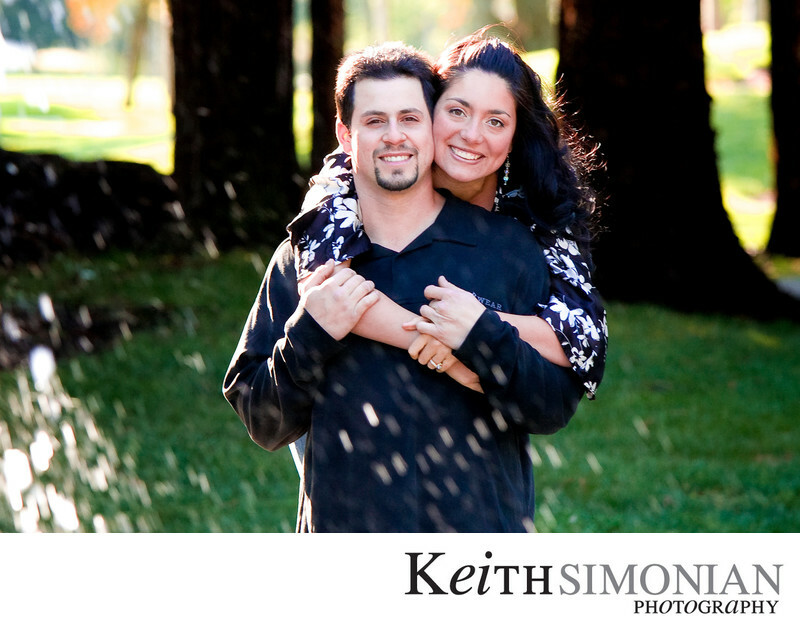 Before your wedding day you will want some casual photos that show your love between each other. These photos can make great images to display on your wedding day at the reception. The trick when making a photograph through a water fountain like the one at the San Ramon Community center is to get just the right amount of splash in the photo. Too much splash, and you wonder where the couple is. Too little splash and you don't even know there is a water fountain. Location: San Ramon Community Center 12501 Alcosta Blvd San Ramon, CA 94583. 1/200; f/4.5; ISO 320; 160.0 mm.